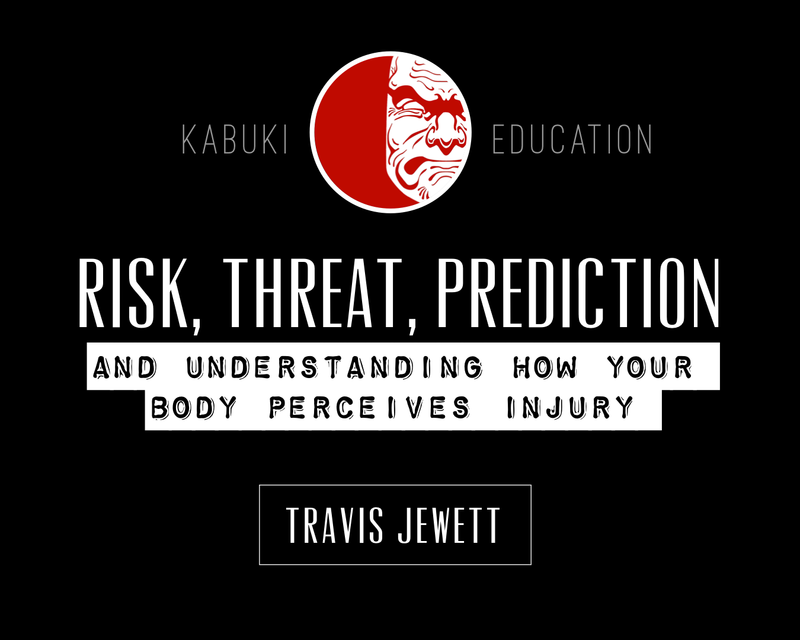 Travis Jewett is a strength coach and chiropractor with a clinic in Cherokee, IA. He is a member of the MobilityWOD staff and teaches seminars and workshops around the world in strength training and human performance. 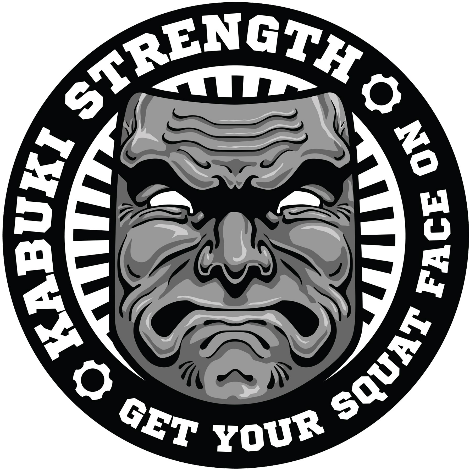 He is also a member of the Kabuki Strength Advisory Board. He works with people of all ages to improve their quality of life through strength and movement. I recently saw an exchange on Twitter between two professionals in the rehabilitation world. The original tweet mentioned a patient who had started deadlifting because they had a herniated lumbar disc. The first response was from a different professional questioning this course of action. He said something along the lines of, “Hmmmm, was this when he was symptomatic or asymptomatic?” To put this in more context, the person who posted the original tweet is not the person who started the deadlift program. The original person thought it was great this patient had decided to take action into his own hands instead of falling victim to the system. The second person was questioning whether a person with a herniated disc should be deadlifting. I hope you are not confused, because we are going to dive deep into the rabbit hole. I am in the business of helping people who are currently experiencing pain or injury get back to doing the things they need to do and want to do. I have to be able and willing to listen to what a person is telling me and help them work through the possible reasons they have come into my clinic with their current issue. 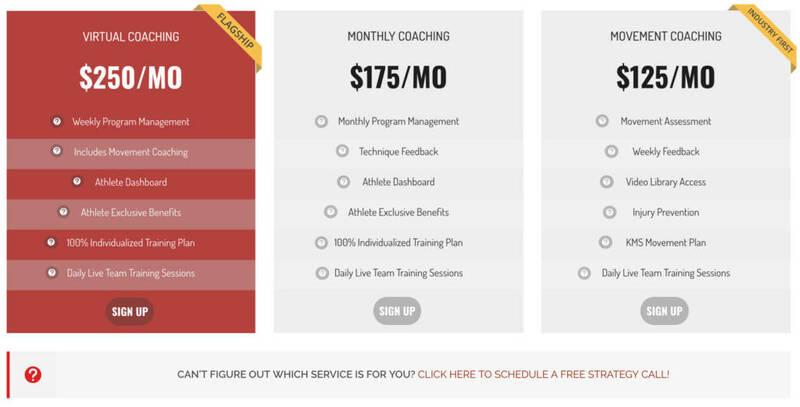 Periodically I get a person who comes to me simply because they want to know if there is anything they can be doing in their training or to take a look at how they move during their training and see if we can find ways for them to be more powerful and efficient and make better use of their time. While these people are fun to work with, they are pretty rare in my field. I don’t typically get a hold of someone until there is a problem. Many times the problem has been a problem for a while and now it is a big problem. The problem with things that are a big problem is your nervous system has started to create predictive models around your behavior. Your brain is constantly trying to predict the outcome of situations in your environment based on the sensory input coming in so it can consider responses to things it may encounter. There is a certain amount of error that is built into this predictive system. Unfortunately, this can have a negative impact on your ability to get past an injury or a pain related issue when it comes to training. Let’s say for example you have a tremendous amount of pain after a deadlift. You aren’t sure what happened, but on that particular repetition, your brain decided to respond to the sensory information it was receiving by producing an overwhelming feeling of pain. You decide to walk around a bit and try another repetition, but are met with the same pain. You hobble out of the gym and head home. The next day you may feel the same, or even worse, and decide to drop yourself into the traditional medical system and make an appointment with your physician (or PT or chiropractor or whoever). Deadlifts had never hurt you before, so now what is going on? This is where the fun begins. Depending on who you see, imaging is likely going to be ordered. Did you bring your pre-deadlift hurt my back images of your spine? Oh, like everyone else on Earth, you probably don’t have any. They may see a disc bulge or herniation or degenerative joint disease or degenerative disc disease or a tilted pelvis and explain the pain to you in relation to what they see. It is difficult for you to realize none of what they are saying may be true. This will all feed into the perception of the incident in your brain and begin to shape your experience and predictions around deadlifting, likely in a negative way. Now what? Your beloved deadlift hurt you. The professional you chose to see convinced you deadlifting is the enemy and should be avoided until further notice. They recommend resting, taking pharmaceuticals, and making an appointment with physical therapy and/or consultation with an orthopedic surgeon. Your brain starts going through the past experiences you’ve had with other people who have hurt their back doing something similar. You remember that time your mom told you lots of folks in your family have “bad backs,” and have “slipped discs,” doing eerily similar things. You start to panic. You are allowing yourself to draw the conclusion that your fate is sealed. You never should have even been deadlifting in the first place. No one told you it was such a dangerous activity. Now you have started your slide down the trash heap of “bad backs” that run in your family. You are going to end up on disability just like Uncle Ted did after he “slipped a disc” lifting a heavy box at work. You are really forming an imprint now. Your brain is continuing to develop a very negative perception of deadlifting and is going to start creating a prediction around the sensory information it is receiving when you go to perform deadlift like things. Remember that time you burned your hand on the hot stove when you were a little kid? You developed such a powerful negative emotional response to the act of touching a hot stove that it likely took you a long time to touch a stove that you knew for certain wasn’t even on. Your brain had decided it was best to have a massive prediction error in the experience of stove touching to protect the organism as a whole from further stove related injury. Do you see where this is headed? Your brain is predicting the stove is a threat. You decide it isn’t worth the risk of touching the stove, even if it is off, in the event it actually isn’t off. Deadlifting has now been cataloged into the brain in a similar way. You have developed a perception of deadlifting as a threatening activity and your brain is predicting pain as the outcome from the sensory information it is receiving about you deadlifting or about other activities that are delivering similar information. This isn’t inherently bad, it is a way for your brain to protect you from behaviors it has decided to predict as threatening. Let’s say you get dropped into physical therapy or chiropractic care. After the initial scare from the physician, you will probably land in the office of one or the other. The likelihood of you needing surgery is extremely low in the absence of severe motor weakness and muscle atrophy or loss of bowel and bladder function. Even though the doctor or therapist may have told you the pain was coming from whatever they saw on imaging, that isn’t necessarily true either, and severity of pain is not correlated with severity of tissue damage. This is important to remember and understand while you are beginning your adventure into traditional rehab. Many of the things the person you are seeing will decide to do with you are predicated on those ideas. There are a lot of exercises thrown around the rehab world that simply don’t matter. There is a lot of stuff that is likely to be done to you in a rehab setting that simply doesn’t matter. What we really have to do is change your perception and current model of prediction. This goes back to the opening story. The question is, why isn’t deadlifting perceived as an ideal way to start improving the outcome of a herniated disc that is currently symptomatic? This is not to say there isn’t tissue damage that is part of the equation. We can’t forget the bio part of the bio-psychosocial model of thinking about pain. If there is tissue damage that is part of the sensory information your brain is receiving, there is going to be healing that will take time. What is important for you to understand is pain does not necessarily mean you are further damaging yourself. There is strong evidence to suggest some pain while easing back into training is even beneficial for recovering from that “psycho” portion of the incident. We have to keep you from choosing the wrong path when it comes to deciding how you are going to proceed from this event. I had a person comment on my post that they would not start with deadlifting as it is too high risk. They would spend time with core activation drills for a while first. My response was I do not view deadlifting as a high risk exercise. I don’t really place exercises I choose with a patient on a risk continuum. I view it through the lens of what does the person I am working with view as threatening. My job is to find something that is similar enough to the offending activity, but different enough that you decrease your perceived level of threat and change your prediction around the possible outcomes. Now I can make you begin to feel confident again. This is how I have begun to view many of the choices clinicians make when working with people. Many clinicians are risk averse. They have placed the activities they select from when working with patients along a risk continuum. This leads to exercise selection that can appear to be appropriate on the surface, but may not actually lead to the desired outcome. While it is true I can keep a person busy with dead bugs and planks, and crawling variations, am I really doing anything to change their prediction about deadlifting? Sure the person is reporting decreased levels of pain, but that will happen eventually anyway if the clinician removes the offending activity from the patient’s day and fills the void with novel stimuli that the clinician views as low risk and the patient perceives as low threat. If you are working with someone who is serious about their training, they are going to go along with this for a bit, but then start to wonder why they never seem to be doing anything they feel is moving them closer to deadlifting heavy again. Planks and dead bugs can have a roll, but they aren’t deadlifting. They have different force vectors, different demands on the trunk, and different ways of the body organizing itself to perform the task. Things done at low force under strict control are not guaranteed to help when the loads and variability are high. I don’t need to make sure your transverse abdominus can “fire” or your gluteus medius is “activated,” I need to reduce your fear, calm your anxiety, hit you with a hard dose of empathy and reassurance, and get to work. I am going to start deadlifting with you, and maybe on the first visit, even if you are symptomatic. I am not talking about a full heavy deadlift. I am going to use what ever implement, stance, and elevation of the object I need to for you to reduce your perception of threat. If we can lower your threat levels, we can start to alter your predictions. If I can get you to perceive a kettlebell Romanian deadlift to a twenty inch box with a sumo stance as low threat, that’s where we are starting. There will be ups and downs, but now we are on a much better path. Healing and pain reduction are non-linear. I’m not even going to coach you that hard on a “perfect” hinge. That can set you up for a whole set of other psychological issues around deadlifting. I need you to lower your threat and change how your brain is forming a prediction, I don’t need to make you think if you don’t do something perfectly from here on out you will suffer another injury. I also don’t want to fill your training with a bunch of exercises and “activation” drills and make you feel like you can’t train if you don’t do them. What happens if you forget one day and feel a tweak? If perceived threat is low with low levels of intensity, we have much more margin for error and tolerance in variability anyway. In a lot of ways you are learning to deadlift again, so constraining the environment too much will actually impede your learning. At this point it becomes load and volume management, and monitoring your physical and emotional response to the training stimulus.